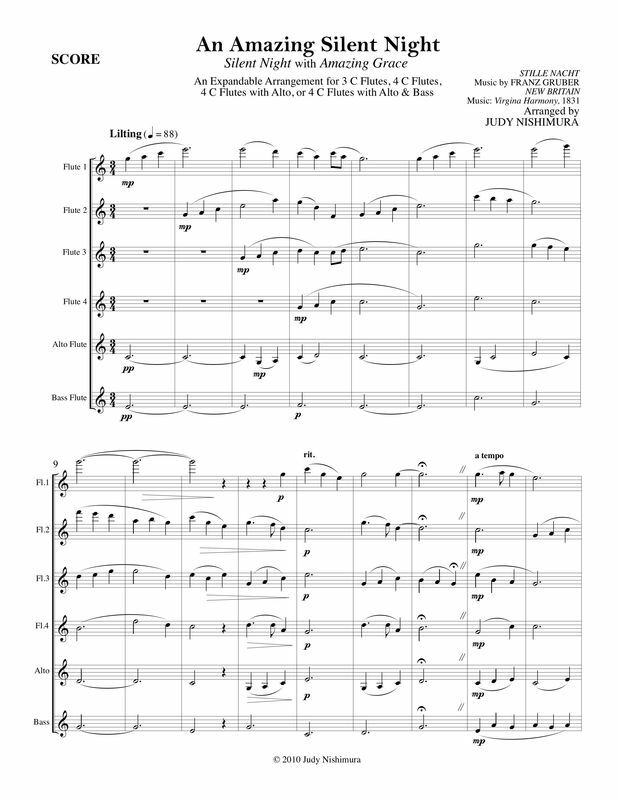 "Silent Night" with "Amazing Grace"
This arrangement will fit into any flute ensemble's holiday repertoire. Besides being of very moderate difficulty, it's dreamy and sweet and contains quotes from "Amazing Grace," but doesn't wander too far from its "Silent Night" roots. Back to Other Works for Sale page.